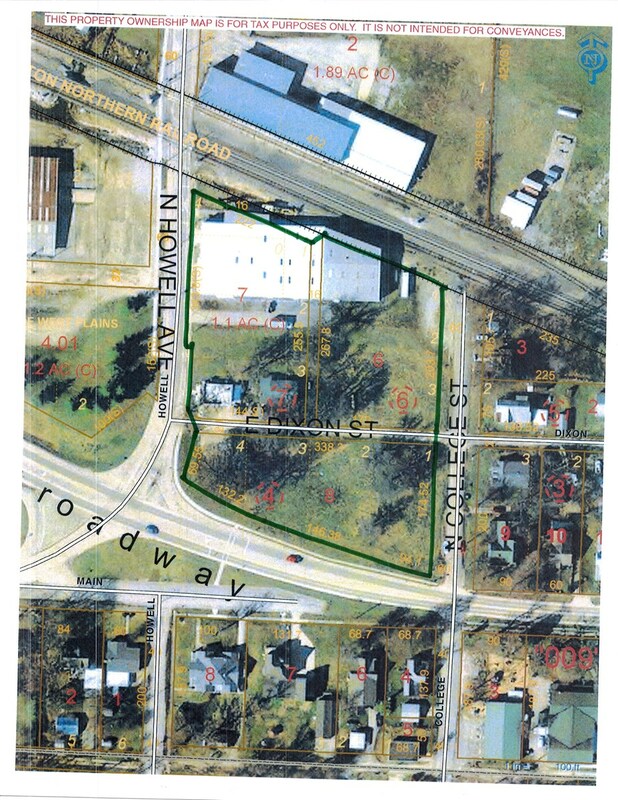 Missouri Ozarks commercial property for sale in West Plains, Missouri. This 3.42 acres includes Railroad Spur and Switch and a 24,260 square foot warehouse with offices, storage areas, and meeting rooms with Parking. Major visibility with Business 63 Road Frontage as well as Howell and College Ave. This property is located in an industrial area of West Plains, MO and offers city water and sewer. Easy access to Hwy 63. This location can be purchased with all above or mainly vacant ground with 2.33 acres with Business 63 Frontage for only $799,900. Prefect for Industrial, Warehouse, Retail, Multi Family and More!